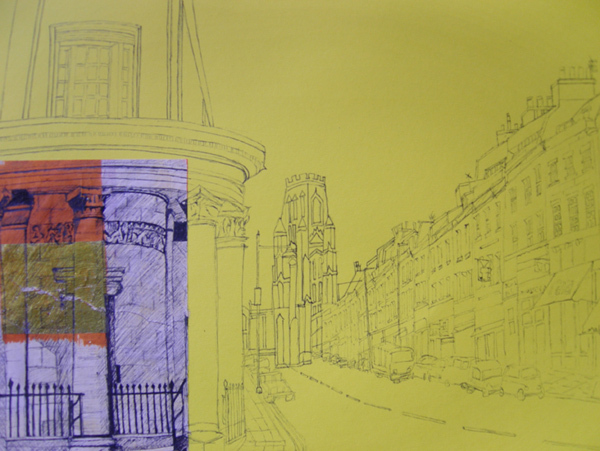 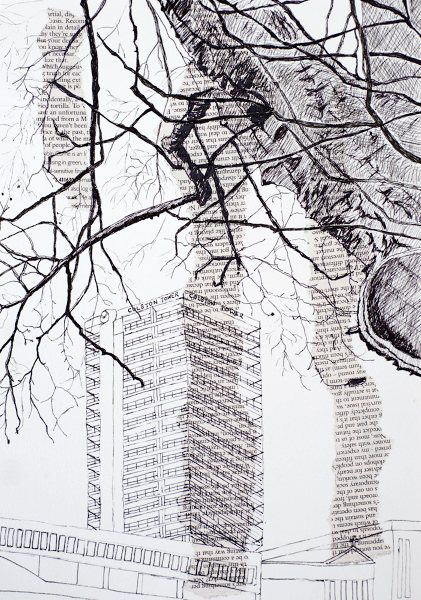 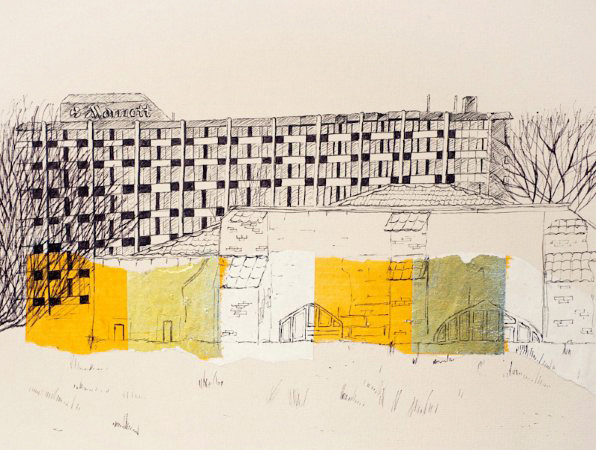 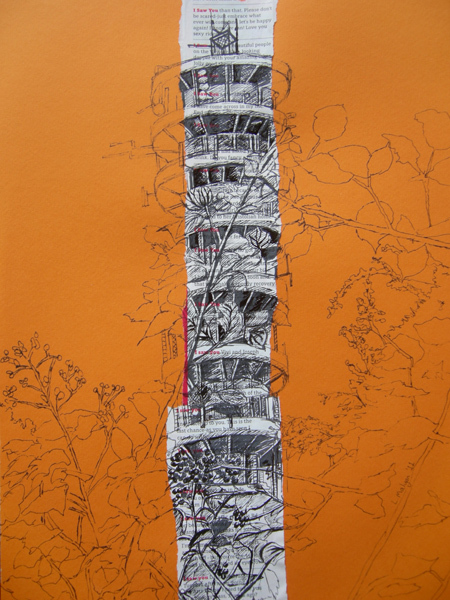 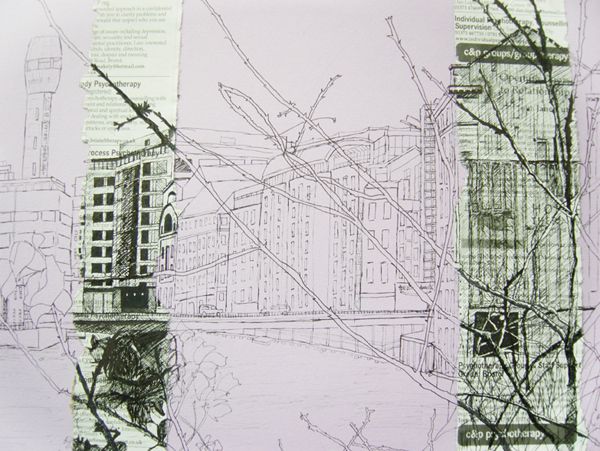 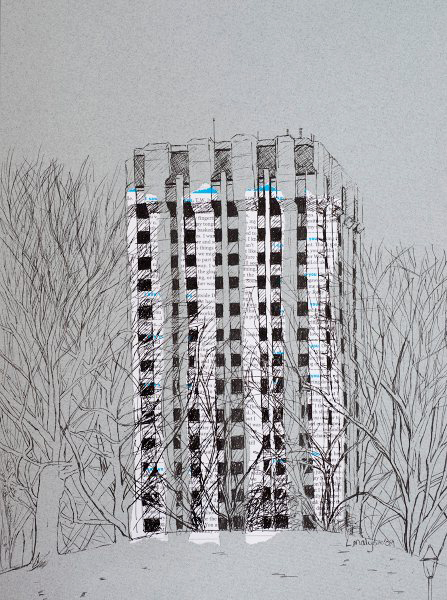 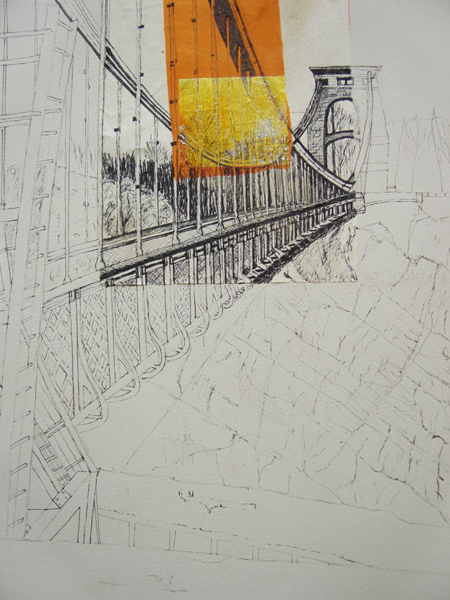 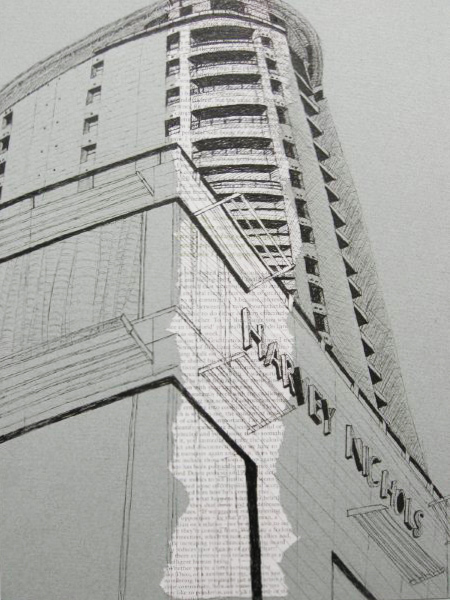 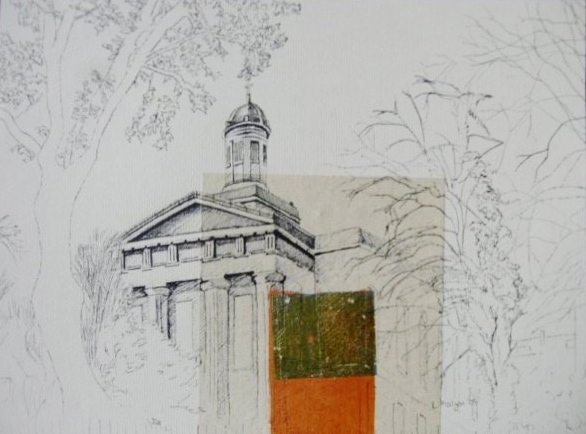 Following a move to Bristol in 2000, Lisa Malyon returned to her love of drawing by working in a series of sketchbooks to depict the various views of buildings and structures in the city. 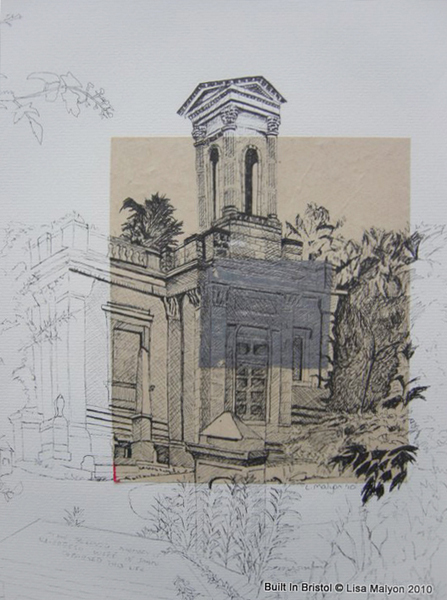 It soon became evident that a collection of works was emerging and these drawings are the culmination from those early sketches. 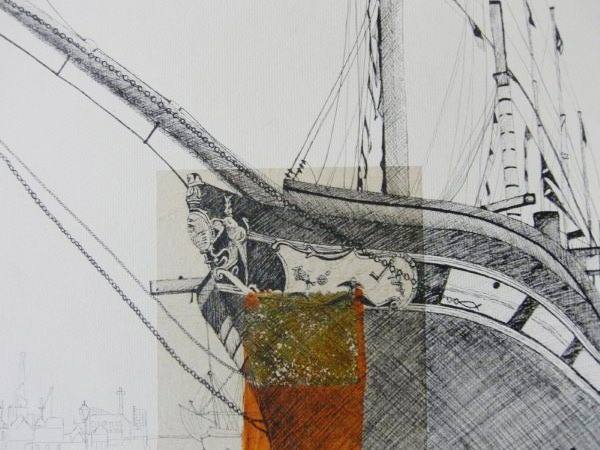 Using a fine ink pen, Lisa Malyon, draws directly on pastel paper. 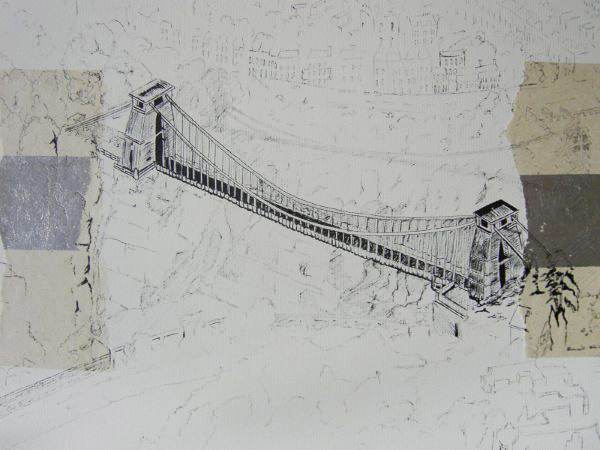 A collage of pages are torn either from local Bristol publications such as Venue and The Spark or Chinese paper 'money' (traditionally burnt during Chinese New Year celebrations) adding both texture and colour to create interest to the picture. 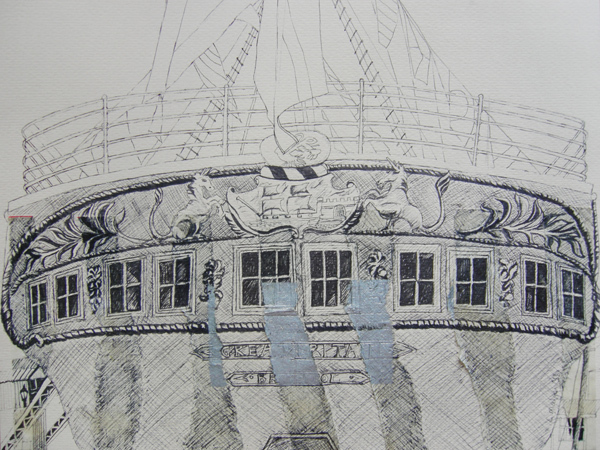 The drawings are deliberately left to look 'incomplete', this way the viewer's gaze is drawn into the work as only certain portions are given a detailed finish. 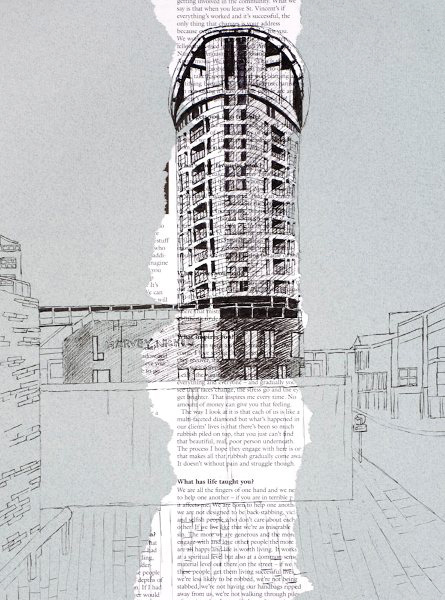 'Built in Bristol' is a touring exhibition celebrating the wealth of the city's diverse architecture; from the historic Cabot Tower to the clean modernist lines of the Harvey Nichols' store and its iconic residential tower; already an established landmark on Bristol's skyline. 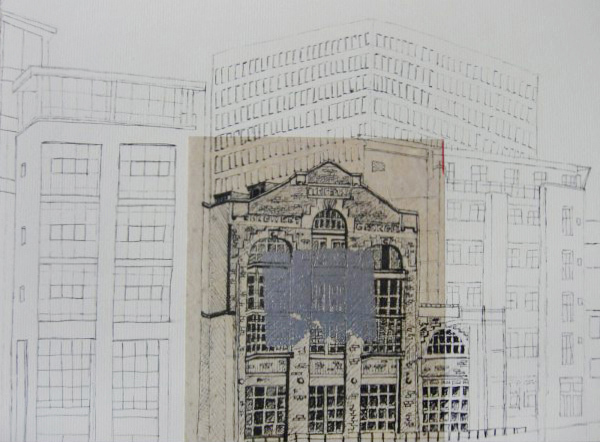 Buildings and structures that are often taken for granted are hereby given the prominence Lisa believes they deserve. 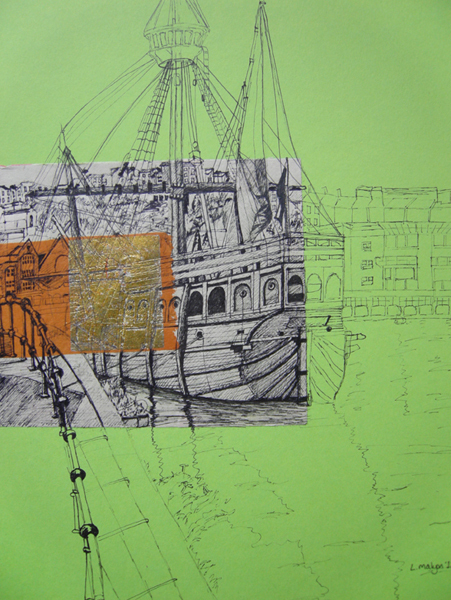 Illustrator and painter Rebecca shows her work on her website and exhibits widely. 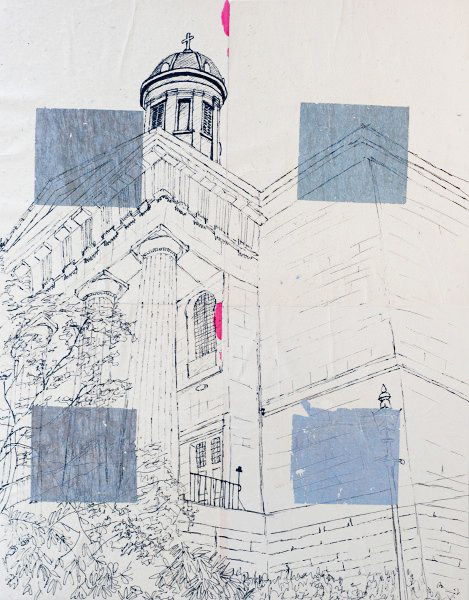 Also find her on LinkedIn.